Since 1967, Smedbo mirrors have been elegant additions to homes across the world. Whether you’re seeking a wall mounted mirror, freestanding mirror, or fully illuminated mirror, a Smedbo mirror offers superior magnification with beautiful modern designs. 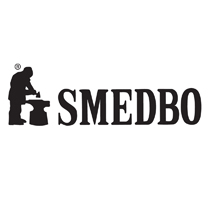 Smedbo mirrors are available in a wide range of finishes, including chrome, brass, stainless steel, and zinc/aluminum, many with brushed or polished options. With a trusted 10-year warranty and eye-catching appearance, a Smedbo mirror will greatly enhance the beauty of your bathroom fixtures.